Welcome to the website of Chairs for Stairs, we hope we can help you by making your life a little easier accessing parts of your home that have now become more difficult for you to reach. We are an Accredited Partner for Acorn stairlifts, and all your stairlift needs will be dealt with by an Acorn representative. Chairs for Stairs stairlifts are here to make your life easier and allow you to enjoy a more relaxed, safer and leisurely lifestyle. Join thousands of people who have benefited from Acorns stairlifts worldwide. Acorn stairlifts are a global, family owned company established in 1992 and have grown to over 1400 employees worldwide. From time to time climbing stairs can be awkward and physically demanding for some people. A stairlift is an excellent way of taking the strain. Acorn stairlifts are simple to use and provide an easy and convenient way of accessing upper and lower floors safely. Acorn make stairlifts only - it's all they do, and every 8 minutes somewhere in the world an Acorn stairlifts is being installed, so why not make it yours today ! Please feel free to contact us for a free survey and free no obligation quote. We are not sales people, we are here to show you and offer you the stairlifts that we feel are the best on the market, offering the best prices, the best safety, and the best quality and reliability. State-of-the-art solution that’s easy to use. Requires no structural changes to your home. Simply plugs into a standard power socket. Slimline and folds away when not in use. You’re in safe hands with an Acorn stairlift. 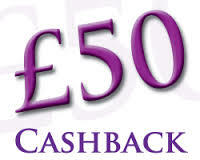 To register your £50 cash back. The cash back will be payed within 14 days, after your initial 14 day cooling off period has finished. Acorn is the only stairlift company officially awarded the prestigious Ease-of-Use Commendation from the Arthritis Foundation. 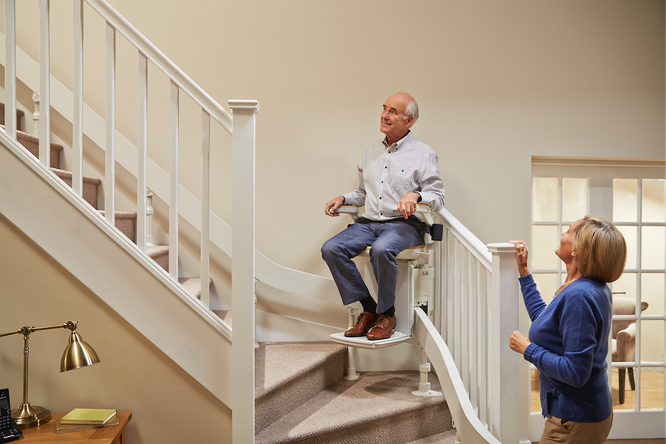 Acorns FastTrack® rail system is the simplest and fastest way in the world to have a stairlift installed. Acorns stairlifts are installed and helping people around the world every 8 minutes. Discover the difference an Acorn stairlift can make to your life.